On Sunday 29 August 2016, BHS (British Home Stores) closed the last of its 164 remaining stores, making around 11,000 employees redundant and jeopardizing the future of over 20,000 pensioners. The media took delight, at the same time, in showing the previous owner of BHS, Sir Philip Green, sailing around the Mediterranean on Lionheart, his new $100 million luxury yacht. BHS was a department store business, with over 150 shops around the UK and others abroad. These stores sold a wide range of merchandise relatively cheaply–women, men, and children’s clothing; furniture and household goods; garden equipment; fashion accessories; toys, cameras, and wide range of other goods. Many also had a restaurant. In its heyday, BHS had a store on the high street of the most important towns in Britain. But in recent years, high street shopping has been challenged by shopping malls, where specialist stores offered wider ranges of specific goods and, of increasing importance, free parking. Internet shopping then developed, bringing further challenges to department stores.The retail industry underwent a period of rapid challenges and growing competitiveness. BHS reflected a by-gone shopping era. Founded in 1928, BHS traded successfully and grew around Britain for generations before being acquired by the Arcadia Group Ltd, an investment company running a network of subsidiary companies mainly in clothes retailing under the brand names of Topshop, Topman, Dorothy Perkins, Burtons Menswear, Wallis, Evans, Miss Selfridge, and Outfit. Arcadia had over 3,000 retail outlets and nearly 7 million square feet of space. The Arcadia accounts list seventy-seven wholly owned subsidiaries, some of them with their own chain of subsidiaries. In 2014/15, the Arcadia Group turnover was £2,069 million, giving it an operating profit of £229 million. However, exceptional costs including pre-opening costs of overseas stores and pension fund adjustments, and a loss on the disposal of BHS (£311 million) led to an overall loss of £94 million. The 2014/15 accounts note that the UK Pensions Regulator was seeking information from the company in connection with the BHS pension schemes. Arcadia Group Ltd is wholly owned by Taveta Investments (No.2) Ltd., the first link in a network of trusts and companies, with many registered in Jersey, a Channel Islands tax haven. The Arcadia Group is dominated by Sir Philip Green and its major shareholder, allegedly, is Green’s wife, Lady Tina Green, who is a British-born South African resident in Monaco, a Mediterranean tax haven. Neither Green nor his wife is now on the Arcadia board of directors. Green resigned from the board on 15 December 2015. Lord Grabiner QC also resigned from the Arcadia board on that day. Directors’ remuneration for 2014/15 was £5,271,000, with the highest paid director receiving £1,955,000 (supposedly Ian Grabiner, who is said to be Green’s right-hand man). Carmen Ltd, a property company owned by the Green family, received over £10 million in rent on BHS stores in 2014/15; and a further £20 million was paid to the family by BHS to repay loans. PriceWaterhouseCoopers LLP are the Arcadia Group auditors. The 2014/15 accounts show audit fees for the Group and subsidiaries of £355,000 plus fees for non-audit services of £1,798,000 (including £1,151 million for ‘pension advisory services’). Green is a flamboyant and confrontational billionaire. Many reporters have experienced his explosive temper. He is not one to give interviews. So he was unlikely to provide information to your case writer, who has relied on company accounts, published reports, and newspaper commentary. Over the years, Green built up a network of retail stores within the Arcadia Group, principally in clothing, both in Britain and abroad, through acquisition, merger, and re-structuring. He received his knighthood for contributions to retailing. However, BHS had made losses for the past seven years, which had to be funded by the Arcadia Group. In other words, Green family interests had funded BHS losses. But BHS was a private company. Corporate governance codes that cover public companies did not apply to BHS. By 2015, BHS was struggling. In March 2015, the company was sold for a nominal £1 to Retail Acquisitions Ltd., a company owned by Dominic Chapell, a three times bankrupt former racing driver. The sale to Retail Acquisitions was negotiated by bankers Goldman Sachs. All monies available to BHS at the time of sale shall be used for the day-to-day running of BHS. All proceeds realised from the sale of BHS properties shall be used to operate BHS as a going concern and to pay its debts. No steps are to be taken by the buyer that would adversely affect the ability of BHS to continue as a going concern. Finance Director Budge explained that this was to ensure that all monies available to BHS should be used for that company’s business and not drawn down by the new owners. The financial impacts of the BHS sale are clear in the Arcadia accounts for 2014/15. £216 million due to Arcadia Group Ltd were waived. Provisions relating to BHS disposal and cash transferred by Arcadia to BHS cost £88 million. The cash costs of the BHS disposal came to £2.3 million. Administrators Duff and Phelps were appointed to administer BHS in April 2016. Unable to find a buyer, the closure of its stores followed in August, 2016. The deficit in the BHS pension fund was initially reported as being around £570 million. The stock market crisis in 2008 had reduced the fund’s value and subsequent losses at BHS had prevented funding the short-fall. In evidence to Members of Parliament, Chappell alleged that Green made a condition of any deal not to contact the Pensions Regulator. Green is reported to have made an informal offer of a £300 million contribution to the pension fund but only on condition that investigations against him be stopped and any legal action against him or his wife would be dropped. Members of Parliament from the Works and Pensions, and Business Innovation and Skills select committees called on evidence to probe the BHS collapse. The Chairman of the Works and Pensions Select committee, Frank Fields, suggested that Green, himself, should fund the deficit or risk losing his knighthood. Green responded aggressively claiming that he had offered to support the pension fund but his offer had been rejected. He also suggested that the Chairman, Field, was biased against him. In his defence, Green said: ‘Any fair review of the BHS balance sheet would show the support we had provided to the BHS business throughout; It is clear that we invested substantially in the business. We lent substantial sums to the business and we gave Retail Acquisitions every chance, with a solid platform to take the business forward’. The Chairman of the BHS pension fund trustees, Chris Martin, told the MPs that he had raised concerns about the deficit in the BHS pension fund after meeting Chappell. He felt that Retail Acquisitions had done little due diligence during their acquisition. Business Select Committee member, Richard Fuller, called for an investigation by the Financial Reporting Council (FRC) of the conduct of directors and professional advisers involved. The FRC launched a probe into the involvement of BHS auditor one of the Big Four audit firms, PriceWaterhouseCoopers (PwC). MPs called for Lady Tina Green to shed light on the complex web of companies registered in her name in tax havens, and their profits. They also wanted to know more about the relationship between Green and Goldman Sachs. The Institute of Directors (IOD) commented that the action of Green ‘has the potential to be deeply damaging to British business. We spend a lot of time agonizing over the loss of trust in the business community and I think we can see why…When someone ends up behaving like this people think that is how business is: and it is not’. The IOD also called on the UK’s Financial Reporting Council to investigate whether the board of Arcadia Group had failed in its duty to promote the success of a company it owned. Lord Myners, a corporate governance stalwart, asked the Attorney General whether the Serious Fraud Office was considering a formal criminal investigation into the collapse of BHS. Although the SFO, the FRC, the Pensions Regulator and the administrator/liquidator have yet to report, the BHS case seems set to become a corporate governance classic. One is reminded of the Robert Maxwell case (page 25-26, Corporate Governance 3e, Tricker). Maxwell, a dominant entrepreneur, used funds from two public companies and their staff pension funds to prop up his private interests. Maxwell’s business empire finally collapsed leaving a £753 million deficit. He died of a heart attack having fallen from his yacht in the Mediterranean. But Maxwell had taken monies from two listed public companies, and their pension funds. BHS was a private company predominantly owned by the Green family. Was anything wrong with the governance of BHS? This was a private company, wholly owned by another private company, itself in a network of overseas trusts and holding companies. No public company was involved. 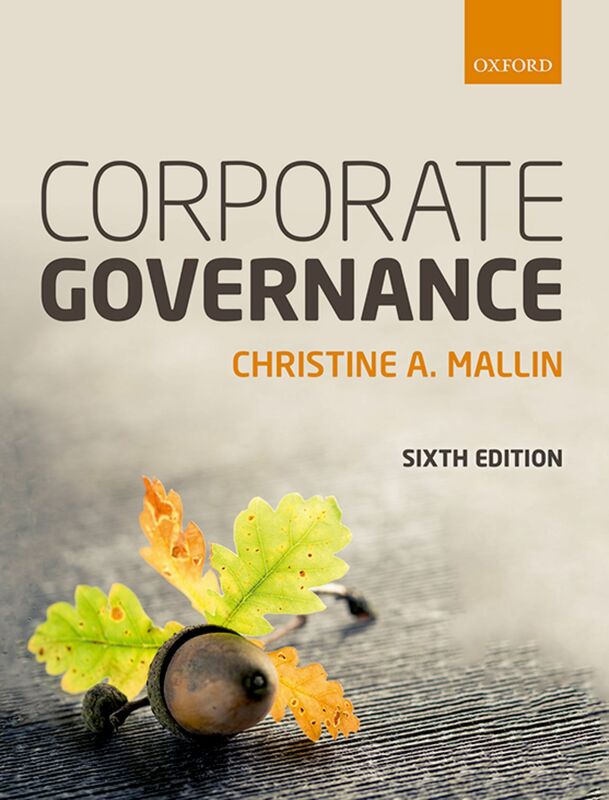 Should there be a corporate governance code for significant private companies, say those with sales revenues or employees over a certain figure? Should such significant private companies be required to have independent, non-executive (outside) directors or explain why they do not? Should they have audit committees, remunerations committees, and nomination committees with independent directors? Should the chairmanship of the board be separate form the CEO? Should independent auditors provide non-audit services and advice to their audit clients? (PWC were paid £355,000 in audit fees plus fees for non-audit services of £1,798,000). The UK Companies’ Act 2006 applies to all limited liability companies in the UK–public and private. It, therefore, applied to the Arcadia Group Ltd and to BHS Ltd. The Companies Act specifically spells out a statutory duty to recognise the effect of board decisions on a wider public, including ‘the interests of the company’s employees’, and ‘the need to foster the company’s business relations with suppliers, customers and others’. Did the decisions that led to the liquidation of BHS meet these requirements? If not, how might the Act be enforced?